Choosing a travel wallet is not the same as choosing an everyday wallet. There are different features that you need to consider in order to find the best travel wallet on the market. In general, your travel wallet needs to be secure and large enough for your important documents. With different options of travel wallets available on the market, the choice for you is limitless. 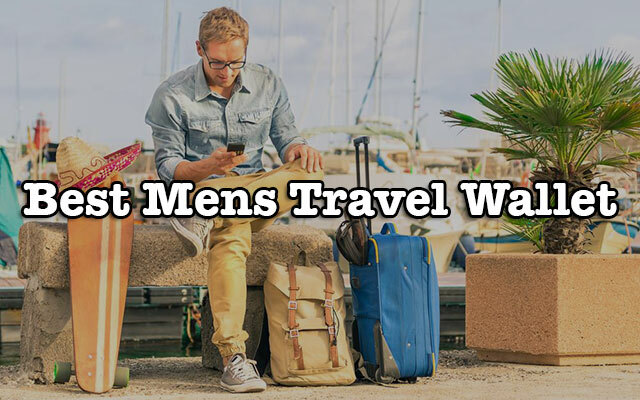 Take a look at our guide below to see the features that you need to consider when choosing a travel wallet for men. We also pick up and review some of the most popular travel wallets for your consideration as well. 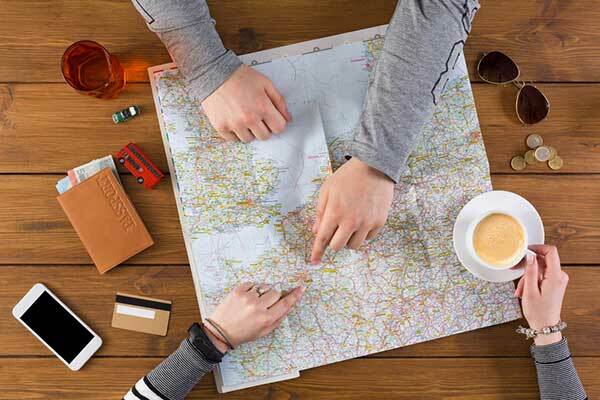 First thing first, here are some of the most important features that you need to look at when you look for your travel wallet including the size, the material, and the features of the travel wallets that you should buy. Everyday wallets have different types of wallet such as the bi-fold style and the tri-fold style. Different designs are suitable for different needs. 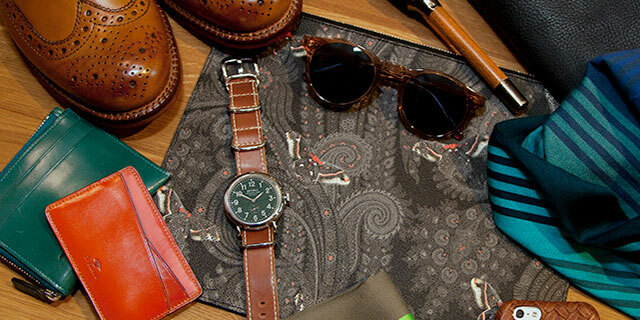 Like everyday wallet, travel wallets also have different styles. 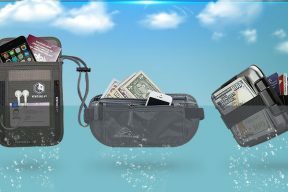 Three most popular styles of travel wallet including the handheld travel wallet, the money belt and the neck pouch wallet. The handheld wallet is like the traditional wallet. It can be designed with the design of the bi-fold or tri-fold wallet. You can carry it with your hand, slide it into the pocket or put it into your pocket. The handheld wallet is typically smaller than other types of travel wallets. However, it is more versatile as you can keep using your wallet when you don’t go travelling. On the other hand, the money belt is usually carried around the belt. A money belt wallet is usually bigger than a handheld wallet. It is easier for you to carry a lot of items with the belt wallet. The last type of travel wallet for your consideration is the neck wallet. In my opinion, this type of wallet is the most secure type as you can easily look at your wallet all of the time when you go travelling. However, many people would find the idea of having a wallet hanging on their neck when they go travelling not so comfortable. This type of travel wallet might not be the best option for you if you tend to carry a lot of heavy things with your wallet. There are 2 things that you need to think about when you choose the size of the travel wallet that you want to buy. First, you need to consider how many items you are going to store in your wallet and second is how secure the wallet can be with its size. If you have a lot of items, cards and banknotes to carry around, it is understandable that you go for a big wallet. Some wallets are big enough for you to carry your phone and your digital camera. However, keep in mind that the bigger your wallet is, the more prominent it is. It would be easier for pickpocket thieves to spot your wallet. Hence, you should only choose a wallet which is not too big, not too small, just enough to help carry all of your items. The next thing that you need to consider is the material of the travel wallet that you want to buy. There are many types of materials that you can choose on the market including leather, nylon, and cotton. My favorite type of material when it comes to travel wallet is leather. Leather is undoubtedly one of the best materials for many things. It brings a soft and smooth touch. In addition, it lasts for a long time and shows good signs of aging. However, a leather wallet would be more expensive than the wallets made from other materials. Also, it could be damage when you store in a highly humid place. There are other materials such as polyester and nylon which are also very tough and durable. They don’t look as classy and elegant as the leather wallets but you probably don’t need such an elegant wallet to carry around when you travel right? Leather wallets are more expensive than polyester and cotton wallets. Thieves know that and they are more likely to target your leather wallet than other wallets that they see around. The price of the travel wallets on the market can vary a great deal. You can buy a travel wallet that only costs you 10 dollars but you can also find one which is 100 dollars and more. There are several things that you need to consider before you decide on how much money you want to pay for a wallet. First is your budget and how much you are willing to pay for a wallet. Keep in mind that an expensive wallet with a brand name can be a great risk when you go travelling as well. Pickpockets will pay more attention to an expensive look, obviously. Second, you need to consider the durability of the wallet. If you need a wallet for a single trip, there is no need to pay extra money for a wallet that can last for a long time. On the other hand, if you need a wallet in case you travel a lot, it is worth spending the extra money on a durable wallet. With the development in technologies, pickpockets also adapt the technologies and become high-tech thieves. They can use their devices to get personal information from credit cards and IDs from you and use them. Hence, it is important that your wallet can block their device from doing so. If you are looking for travel wallet, it is crucial that you buy a wallet equipped with the RFID technology. Don’t buy a travel wallet without this feature. Another feature that you can consider looking for in your travel wallet is the anti-slash feature of the fabric of the travel wallet. With this feature, it is impossible for the thieves to rip the wallet and steal the things inside the wallet. Here are some of our best travel wallets on the market. I’m quite sure that this travel wallet will give more than what you bargained for! Firstly, it’s the sophistication. The RFID wallet is packed in a nice box with elegant design which you can totally take advantage of a present box for somebody. Opening it, you will be amazed by how streamline its interior is. Aside from a separate mesh elastic slot for a passport, there are 5 card slots, 3 bill compartment and especially, 1 tiny slot for SIM card or memory card. I appreciate that extra storage space because when traveling abroad, it’s essential to buy a domestic SIM card for convenient contact and that’s when you need such this slot for the old one unless you want to replace a whole new SIM card when going back to your country. And the triple money compartments, it’s perfect for boarding pass, ticket, and different paper currencies, which is also perfect for traveling abroad. But here’s the main character of this model – the hand-painted world map image on the outside. You have two colorways to go to: silver and gold. Both of them come up with a moderate shine and combine with the soft and smooth real leather texture, it delivers a distinctive luxe. Perfect to nail up your style or for Instagram feed. Surely, there are some people will ask you where it’s bought from. The material of this wallet is 100 % of genuine leather. This wallet is available in tan color as well as dark brown, navy, and purple. On the front cover of the wallet, there is an image of a laser cut world map. It also features 100 % RFID technology from the front, back, and the inside of the wallet. You will definitely fall in love with the wallet right when you see it. 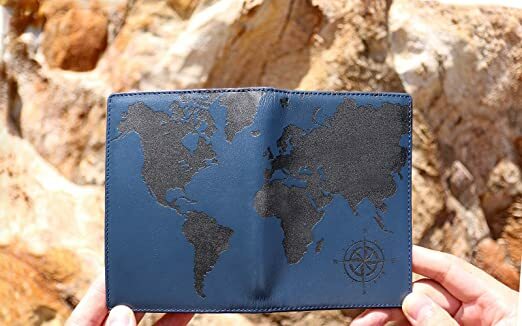 It has the image of the world map sophisticatedly cut by laser on the front to make a unique and beautiful wallet. The laser cut has created a deep embossing and nicely contrasted model for an expensive look. In addition, you will love the high-quality leather which is soft and smooth with a distinct smell of real leather. This wallet fits the United States passport perfectly. The passport wallet is organized smartly and it has compartments to store all of your essential items including cards, banknotes, flight tickets, and SIM cards as well as your passport. Last but not least, this passport comes in a beautiful box, making it perfect for a present. The material of this wallet is 100 % of genuine leather. 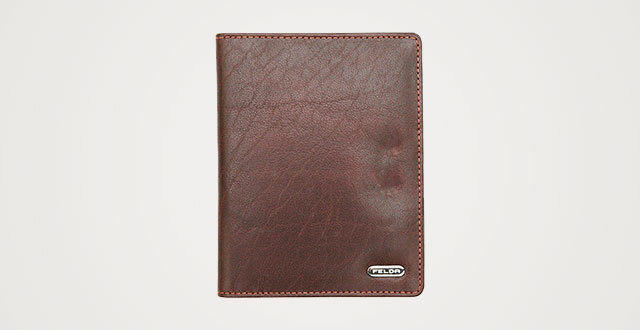 It also features 100 % RFID technology from the front, back, and the inside of the wallet. The compartments of the wallet include 2 passport slots, 9 card slots, 1 clear ID window, 1 inner and outer boarding pass slot, 3 large pockets, 1 pen holder, and 1 zipper pocket. There are 17 different compartments inside the wallet to help you store a wide range of stuff. The zipper is super smooth so it is very quick and easy for you to open and close this travel wallet. 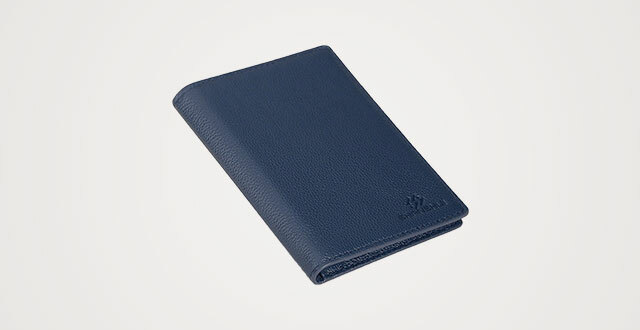 It comes with a functional RFID shielded pocket for quick access to the boarding card or biometric passport. The material is extremely tough and durable. It is also anti-slash to prevent the wallet from being ripped easily. This wallet is excellently made. The manufacture uses strong glue to wrap the edges and sew them with threads to reinforce these edges. There are 5 options of colors for you to choose from including dark blue, red, tan, blue, and black. The material of this wallet is 100 % of soft embossed genuine leather. The compartments inside the wallet include 3 card slots with 1 transparent slot, 1 cash pocket, and 1 pen holder. This wallet features the RFID technology. Like other high-quality travel wallets on the market, this wallet is made of real leather which is the finest grade Lychee pattern. You can feel the smoothness and flexibility of this wallet. In addition, it is scratch-resistant and durable. This wallet is beautiful made with a smooth painting and a thread edge process to ensure the long lasting of the wallet. It is one of the most compact and thinnest wallets on the market. In addition, it is very light with the weight of only 64 grams. This travel wallet has fine double stitching lines to reinforce the edges of it. There are a lot of different compartment inside this minimalist wallet to help you organize your items smartly. 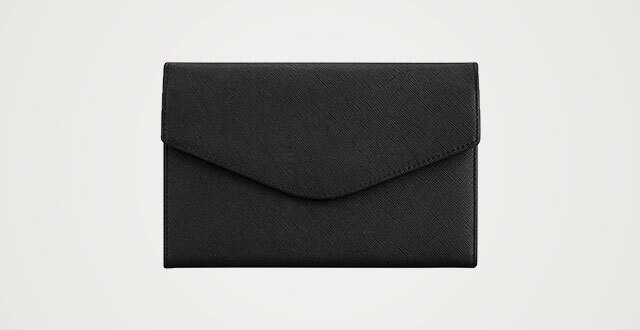 Its Main Features: This wallet is made of 100 % PU leather. There are 6 options for you to choose from including black, brown, and red. It also features the advanced RFID blocking technology. The compartments of this wallet include 1 passport pouch, 2 Card slots, 1 ID Pouch, 1 Ticket compartment, 1 Cash Pocket, 1 Coupon Slot, 1 Key Holder, 1 Zip pocket, and 1 Pen holder. If you are looking for an eco-friendly and animal friendly material, this wallet is one of the best options for you. The PU leather of this wallet is also of premium quality which is as tough as durable as real leather. The tri-fold design of this travel wallet helps you to store a lot of cards while you travel without making the wallet become too bulky. There are different compartments of different sizes for you to store different things. Last but not least, this wallet has the minimalist design and size that allows you to put it into your bag and pocket easily. Its main features: This wallet is made out of 100 percent high-quality Saffiano cowhide leather to deliver an outstanding performance as well as sturdier texture. Come in simple outlook with a small, elegant embossed logo on the inner side, it’s perfect to use in different occasions. Its inner construction is a wow. There are 18 card slots, 6 spacious full-length bill compartments and 1 zippered pocket. Besides, it’s equipped with advanced RFID Blocking Technology to protect your valuable stuff against hi-tech thieves. This wallet is made of 100 of real leather. Besides brown, you can also choose the black option. It features the RFID blocking technology. The compartments which are included a passport ticket, 6 credit card slots, and 2 additional larger slip. 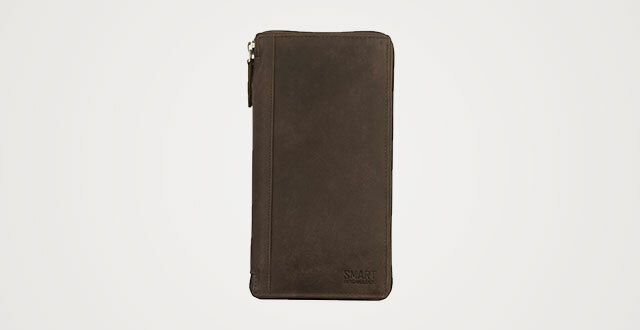 This travel wallet is made of real cow hide leather to be soft and smooth. This wallet also ages nicely over time. In case you are looking for a minimalist and compact travel wallet, this one will be your best purchase. This belt wallet is made of rip-stop fabric with a mesh back pocket. The waist strap of this wallet is elastic and flexible which can fit the waist line of up to 42 inches. This wallet features the RFID blocking technology. This belt wallet features both of the security features: the RFID blocking technology and the anti-ripping material to ensure your safety when you go travelling. In addition, it is heavy-duty made with double stitching lines and top quality waterproof rip-stop nylon. It is thin and lightweight with the breathable and well-ventilated material. The soft mesh pocket in the back of the wallet is soft for your skin. This travel wallet is made of 201d Dobby/70 D Taffet. It is made with the RFID technology that can block radio frequencies from 10 MHz to GHz. 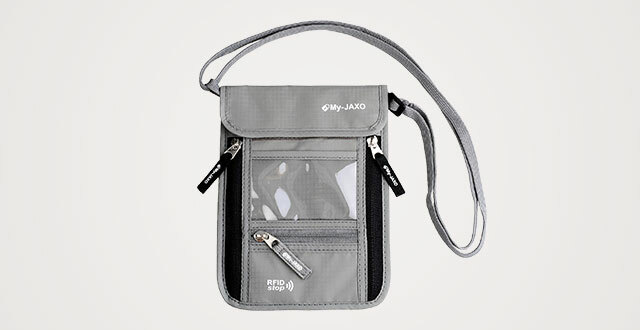 It includes a transparent zippered pocket, 1 slip-in pocket for passport, and 2 slip-in pockets. There are different slip-in pockets for you to conveniently store different items when you go travelling. If you are searching for a slim waist pack instead of a bulky fanny pack, this travel wallet is for you. Why it is very slim and thin in size, it is also spacious enough for all of your essential items including 2 of your passports, your credit cards, your banknotes and your phone. The slip mesh pocket on the back of this wallet is very convenient as it helps to store the waist strap for you. In addition, it is very soft on your skin, making you feel comfortable wearing this wallet all of the time during your trip. This money belt wallet is made of 210 D rip-stop Nylon. There are 3 options of colors for you to choose from including sand beach, black, and graphite. 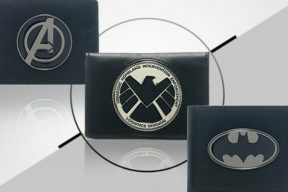 The compartments inside the wallet include 2 front zippered pockets, 1 large concealed rear pocket, and 2 inner pockets. 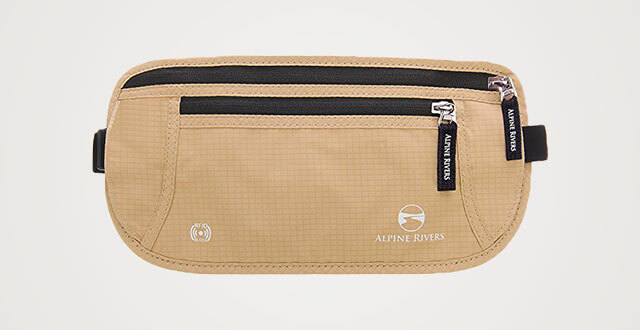 This money belt is made with a premium and high-quality material which is 100 % RFID blocking. It is also highly resistant against water and moisture. The mesh pocket also helps prevent moisture and heat effectively. The inner pocket is spacious enough for you to store a wide range of items including your passport, your travel tickets, credit cards and cash as well as your phone including the iPhone 8 and Galaxy S8. It also comes with a quick-release carabiner clip to help you store your keys and your USB sticks securely. The strap of this money belt is super elastic and can be adjusted to fit a wide range of waist’s sizes, from 26 inches to 56 inches. Last but not least, there are 6 RFID blocking sleeves for your additional wallet. This wallet is made of the 210D water-resistant nylon along with the YKK zippers. It features the thin profile design with the RFID blocking technology. There are 2 options of colors for you to choose from including beige and black. Like any other high-quality money belts that you can find on the market, this money wallet is made with the premium YKK zippers. These zippers are smooth enough for you to easily open and close the wallet. They are also very tough and durable. 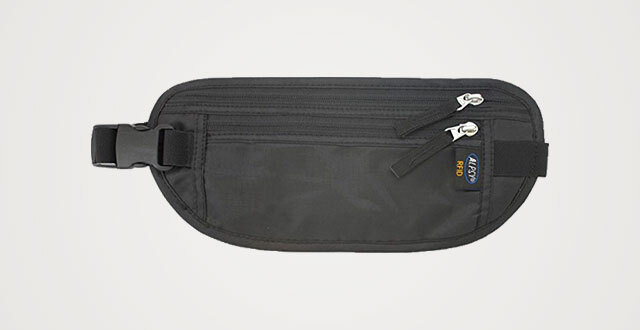 The material which is used to make this money belt is the toughest and most durable. It is water-resistant and has a quick drying performance. Nylon is also always easier to care for than leather. This money belt is light, slim, and comfortable, making it a perfect item if you are a light traveler. 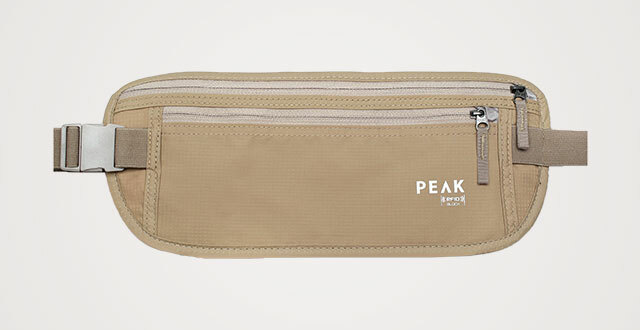 You would like the Peak Gear’s unique Comfort Soft strap which could comfortably snug around your waist. 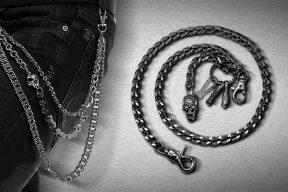 It is well made with the premium stitching line, the solid construction, and a double-release safety buckle. This neck wallet is a multi-pocket travel passport wallet with a neck pouch and an adjustable strap. It is made of the 210D water-resistant rip-stop nylon. It can help to store bank notes, debit and credit cards. There are 2 options of colors including minimalist black and charcoal grey for you to choose from. 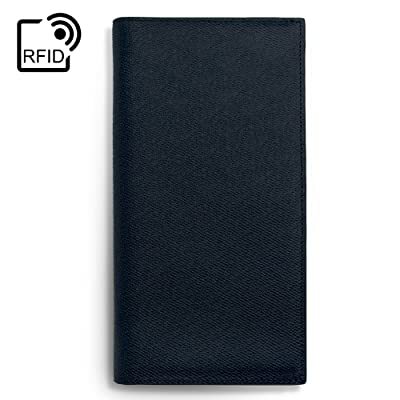 This neck wallet is also made with the RFID blocking technology. With the enhanced and smooth-rolling zippers, it is very easy for you to open and close the travel wallet. Besides the high-quality zippers, the Velcro closure system of this wallet is also strong and can surely last for a long time. In addition, it is slim and lightweight so that you can wear it under your clothes and carry the wallet around without feeling any burden at all. The material is heavy duty which is water resistant and long lasting. This travel wallet offers you the multi-layer travel security features including the high-density straps and the RFID neck passport holder. There are 2 options of colors for you to choose from including grey and black. This wallet is made with the RFID lining. 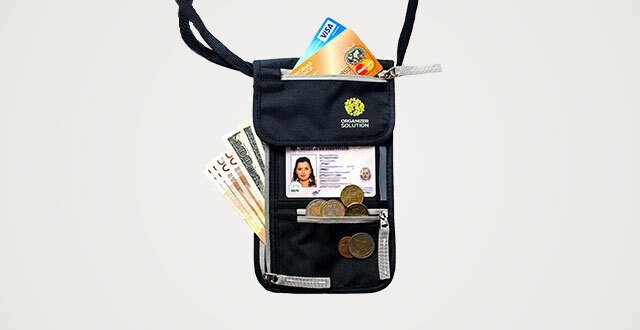 The compartments in the wallet include 2 large zippered side pockets, 1 clear ID window, 1 zippered coin pocket, and 2 main pockets with Velcro closure. 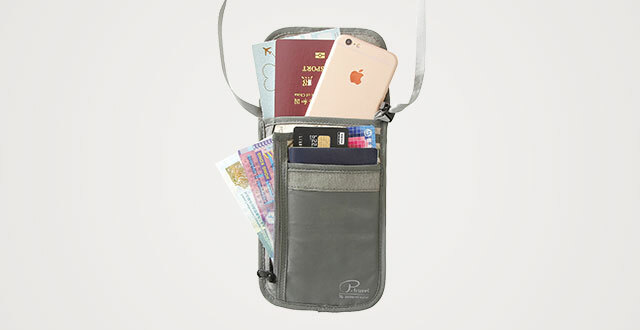 This travel neck pouch can help you to store everything including your phone, your passport, your airline ticket, and even a small digital photo camera. It is made from the high-quality nylon material. The material is tough and durable against all types of weather. In addition, the material is very breathable and well-ventilated. With the adjustable strap, you can easily adjust the neck pouch to make sure you feel comfortable wearing it. Not to mention that the strap of this neck pouch wallet makes it easier for you to wear it around the neck, over the shoulders, or as a crossbody pouch. There are 6 different pockets to help you organisze your essential items smartly. The zippers are smooth for you to easily open and close the pouch. Furthermore, they are of premium quality that last for a long time. It serves a wide range of purposes including the passport holder, the travel wallet, and the travel pouch. This wallet is made of the 210D rip-stop nylon. There are 4 options of colors for you to choose from, which are black, sand, graphite, and deluxe black. 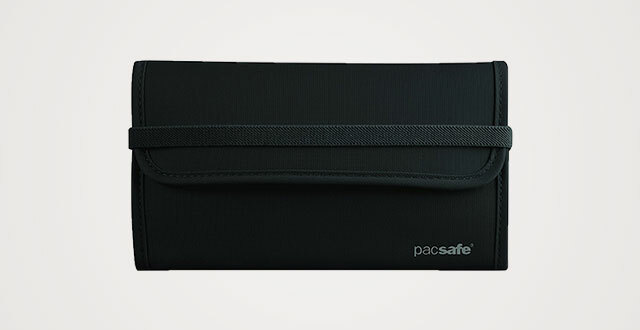 This wallet features the RFID blocking sleeves including 2 passport and 3 credit card slots. The compartments include 3 zippered compartments, 1 large rear pocket, and 1 neck pouch. 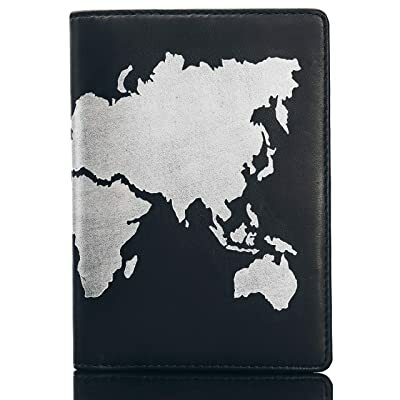 This neck wallet travel has a slim and sleek design. It can also be worn in multiple positions- over clothes, on the hip with the belt loop attachment, or under clothing. It is compact and lightweight, making it easier for you to carry the wallet for a long time. The neck stash and the passport holder are highly durable and long lasting. The materials are also water-resistant and flexible. The zippers are the quality YKK material- they are tough and durable but they are also very smooth to open and close the zippered compartments. There is a rear pocket which is made from mesh material to prevent uncomfortable heat and moisture from developing. Along with the highly durable material, this wallet is well made with the reinforced stitching line and excellent craftsmanship. It is made with the RFID technology. There are 2 options of colors including black and grey and 2 materials- leather and denim for you to choose from. Inside the wallet, there are different compartments including a coin pouch, a passport holder, a phone pouch, a credit card wallet, an expandable cash wallet, and an ID badge. This travel neck pouch is suitable for both men and women. The materials of this travel wallet- including the denim and the leather, are both tough and durable. In addition, it is spacious enough to carry a lot of your travel accessories including your passports, your cash, your credit cards, and your iPhone. The phone pouch of this neck wallet comes with glass protection to provide extra protection and anti-scratch features to your phone. 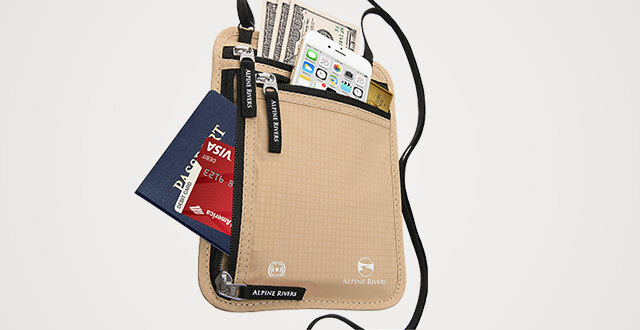 The strap of this travel neck wallet comes with a long and fully adjustable. It also helps you to wear this travel wallet in so many different positions. Important card slots are well hidden. One of the most significant feature of this wallet is that it has an expandable cash wallet to hep you keep your banknotes separately and take them out easily. In order to look after your money while you are travelling, it is important for you to buy a suitable travel wallet. There are many factors that you need to consider when you choose a wallet on the market including the size of the wallet as well as the security features that the wallet offer you. As long as you keep looking for a wallet with high-quality material and security features, you will be able to travel without worrying much about your money as well as your important document. I hope that with all of the information and reviews above, you would be able to quickly find the best wallet in no time. Love the colour of the Zoppen one so much! your post is very wonderful and so useful,i really like. thank you so much dear…..